Conclusive research into the safety profile of gadolinium-based contrast agents for MRI could take about a decade to emerge because of the huge difficulties of obtaining enough valuable and objective data. In the meantime, radiologists will be dependent on newly released guidelines from the world's health watchdogs and other reports, ECR 2018 delegates will learn at today's Special Focus Session. "Our knowledge and beliefs about MRI as a completely safe imaging modality have been contested," said Dr. Cyprian Olchowy, a radiologist at Wroclaw Medical University in Poland, highlighting concerns over the discovery that gadolinium deposits in the brain and body. "We now know that deposition is a fact... [but] it is not known whether gadolinium deposits exert any harmful effect, or the effect cannot be detected due to the lack of diagnostic methods or the lack of knowledge about the type of damage. Long-term consequences are also unknown." 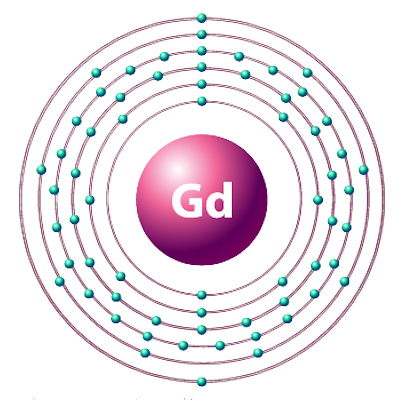 Gadolinium is a toxic heavy metal not normally found in the body, but when chelated to reduce toxicity, it becomes a powerful contrast agent for MRI scans and has improved the imaging of body organs and tissues. It has been used successfully for many years, but over the past decade has been linked to nephrogenic systemic fibrosis (NSF), which involves the thickening and scarring of skin and internal organs. 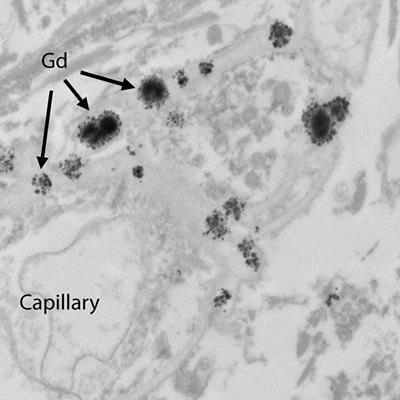 Also, some gadolinium-based contrast agents (GBCAs) have been found to undergo dechelation, resulting in gadolinium deposits in the brain and other body tissue. 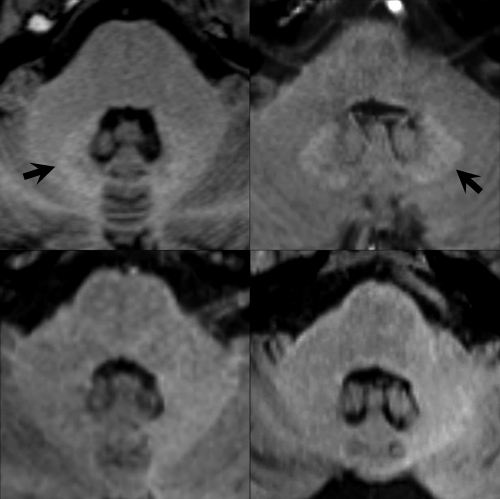 Unenhanced axial T1-weighted images through the level of the dentate nucleus in patients having 14 prior injections of gadopentetate dimeglumine (Magnevist, top left image), nine prior injections of gadobenate dimeglumine (Multihance, top right), six prior injections of gadobutrol (Gadovist, bottom left), and 10 prior injections of gadoterate meglumine (Dotarem, bottom right). Hyperintensity of the dentate nucleus (arrows) is seen as a residual after multiple injections of the linear agents gadopentetate dimeglumine and gadobenate dimeglumine (top images) but not after the macrocyclic agents gadobutrol and gadoterate meglumine (bottom images). Baseline images obtained before any contrast administrations (not shown) were normal in all four patients. 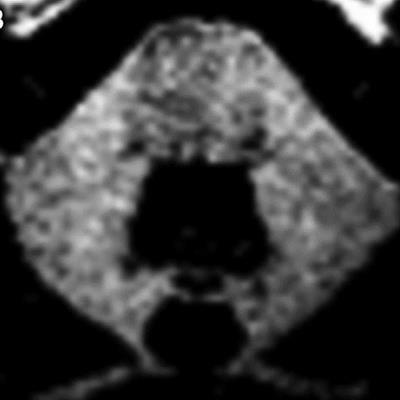 Images provided by Dr. Alexander Radbruch, head of neuro-oncologic imaging at University Hospital Heidelberg in Germany, and published in Investigative Radiology, June 2017, Vol. 52:6, pp. 317-323. Olchowy, who will be speaking in today's session on assessing brain tissue damage caused by gadolinium deposition, said there was still a question mark over the possible clinical implications of deposition. While large clinical studies did not report any evidence of toxic side effects of gadolinium compounds, he said there were online support groups where patients exposed to gadolinium gave anecdotal accounts of symptoms associated with areas of the body, including bones, joints, and skin, where gadolinium deposits to a greater degree, as well as symptoms such as "cloudy mind" and neuropathy. But, he added, this was not something that can be simply answered. News of gadolinium deposition shook the imaging community, leading to controversy and severe pressure on regulatory agencies to provide guidelines on use. In 2017, both the European Medicines Agency (EMA) and the U.S. Food and Drug Administration (FDA) published their conclusions, which should help provide greater clarity for radiologists in light of a current lack of substantive and long-term research and data on gadolinium's safety. The EMA, after a scientific review of the deposition of gadolinium contrast agents in the brain and other tissues, moved to "restrict the use of some linear gadolinium agents used in MRI body scans and suspend the authorizations of others," while the FDA, based on "no evidence to date" of adverse health effects, decided that "restricting GBCA use is not warranted at this time." The EMA recommended restrictions of use on the ionic linear agents Magnevist, which can now only be used in the intra-articular imaging of joints, and MultiHance, which is now only restricted for use in liver scans. Full suspensions are now in place for the nonionic linear agents Omniscan and Optimark. Meanwhile, Primovist, an ionic linear agent only approved for liver imaging, and the macrocyclic agents Dotarem/Artirem, Gadovist and ProHance, can continue to be used in their current indications but in the lowest possible doses. Evidence suggests linear agents cause a greater retention of gadolinium in the brain compared with the macrocyclic agents. Dr. Val Runge, a professor of radiology and a physician at Bern University Hospital in Switzerland, who will address the regulatory conclusions in today's session, was one of a group of international radiology experts that the EMA consulted with before coming to its final opinion. Ahead of the congress, he told ECR Today that the EMA did its "due diligence" in obtaining expert opinion and its conclusions were grounded in patient safety while taking into account the importance of these agents in imaging. "This decision was made on the basis of patient safety and will not affect how radiologists do MRI exams today," he said. "The decision is outlined in such a way that this does not restrict the ability to obtain the appropriate exam because the EMA has been very careful that all indications and use are covered for the necessary exams. This EMA decision provides clarity to radiologists." Olchowy noted that the EMA decision was significant as it warned about the risk of GBCAs while also indicating how to use them safely, as well as highlighting the importance of contrast agents for diagnostic purposes. "Radiologists are the eyes of modern medicine. And also, we are under a moral, professional and legal obligation to use those eyes safely," he said. "Let's not forget that contrast-enhanced MR imaging has helped to successfully diagnose and then save the lives of thousands of patients. True, there are some concerns about safety right now, but still, there are plenty of clinical situations when contrast media will always be needed." That said, however, he also pointed out that there were some concerns contrast-enhanced imaging was potentially being used in some cases where it wasn't always necessary, and he called for more research into gadolinium use in patients with the longest life expectancy, namely children. Now is a salient time to discuss new findings and regulatory decisions, all of which would be covered in today's session, he added. The product suspensions and restrictions in Europe have the potential to be lifted if the manufacturers can modify the products to reduce gadolinium retention in tissues or can identify a patient group in which the benefits outweigh the possible risks of brain deposition. According to the EMA, there is currently no evidence that gadolinium deposition in the brain has caused any harm to patients, but its decision to restrict some agents was "in order to prevent any risks that could potentially be associated with gadolinium brain deposition."